Toys for Tots – This IRS Recognized not-for-profit organization is in charge of the famous toy drive that is administered by the U.S. Marine Corps’ Reserve component. The organization’s goals are to deliver a new toy to those less-fortunate and spread the message of hope to young children. The Marine Toys for Tots Foundation also aims to imbue a strong sense of responsibility, duty, and patriotism in the children whose lives it hopes to change. Armed Services YMCA – The Armed Services YMCA is a top-rated military nonprofit designed to strengthen our military family. In an effort to support our service members and their families, the ASYMCA provides programs and services to the young men and women of all five armed services: Army, Marine Corps, Navy, Air Force, and Coast Guard. These programs are designed to help the family come together, stay together, and have the ability to adjust, bounce back, and thrive wherever the services sends them. The ASYMCA offers unique essential programs such as childcare, hospital assistance, spouse support services, food services, deployment, support, emergency support, computer training classes, counseling, wounded warrior support, wounded family support, health and wellness services, and holiday programs that are tailored to the specific needs of the military community on the local level. ziMS Foundation – Ryan W. Zimmerman, a Virginia Beach native and Washington Nationals baseball player founded the ziMS foundation in honor of his mother. Cheryl was diagnosed with MS, a chronic and unpredictable disease that affects the central nervous system. Each year the foundation hosts fundraising events for the cause, including “flight fest” and golf tournaments. The Foundation is dedicated to the treatment and ultimate cure of Multiple sclerosis (MS) by funding comprehensive support and educational programs. 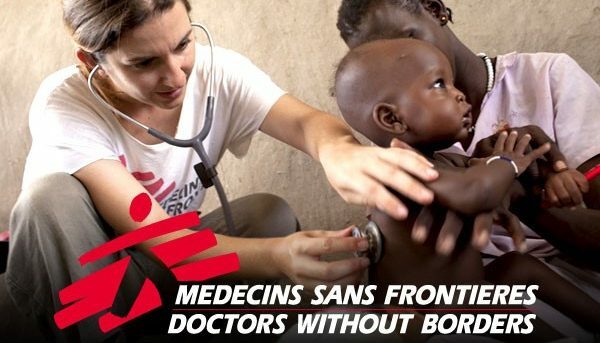 Doctors without Borders – This Nobel Peace Prize winning Organization prides itself on embodying the true spirit of the Hippocratic Oath. DWB Pioneered the readymade medical kit to be able to rapidly administer aid wherever disaster strikes. This independent medical health organization has staff in over 70 countries supplying medical aid to victims of war, famine, natural disasters, and disease. Seton Youth Shelters – Seton Youth Shelters lead the way in delivering critical help to teens in crisis throughout Southside Hampton Roads. The caring staff offers hope and confidence to teens and parents while creative implementation of programs provides added capability. Seton Youth Shelters strives to provide a safe haven as well as counseling and outreach services, 24 hours per day, without charge, to assist youth in crisis throughout Hampton Roads, with the goal of reuniting families. ForKids – With a mission of breaking the cycle of homelessness and poverty for families and children, ForKids is much more than a safety net. Their full spectrum service model simultaneously identifies the causes of each family’s homelessness and improves mental health, education, employment and personal obstacles with supportive services culminating in self-reliant families with permanent housing. Pungo Wine Festival- Sponsors Connect With A Wish, A Virginia Beach based nonprofit organization founded by Joy Rois. Connect With a Wish works to connect the wishes and needs of children in Virginia Beach foster care with the generosity of our community. They provide the resources and support needed to give children in foster care the opportunity to grow into positive and productive members of our community. Connect With a Wish has a simple mission- to connect the wishes of children in foster care with the generosity of our community, one child at a time. In addition to wishes, their programs include the Birthday Brigade, Handle With Care, #GirlCode, Youth Council and more. Chamberlain’s Children Center – Chamberlain’s is a therapeutic environment for children to receive group and individual therapy. They aim to improve the mental and social health of subjects of child abuse and/ or neglect. Chamberlain’s ensures that each child’s health needs are met including medical, dental and vision. Their psychiatric needs are met by Chamberlain’s consulting Psychiatrist, Dr. Rick Gilbert. Chamberlain’s crowning achievement is their “12 Days of Giving Program” that focuses on providing holiday meals around a festive table, a decorated live Christmas tree with wrapped presents below, and fun outings during holiday break. CCC’s clinical team enables children to overcome the effects of the trauma they have experienced and guide them to a happier and healthier life.